For the longest time, we would pass by Domineco's on Hastings and wonder how on Earth does it survive when there never appeared to be anyone eating inside. Well, the question was ultimately answered one day when another sushi restaurant took over the place. 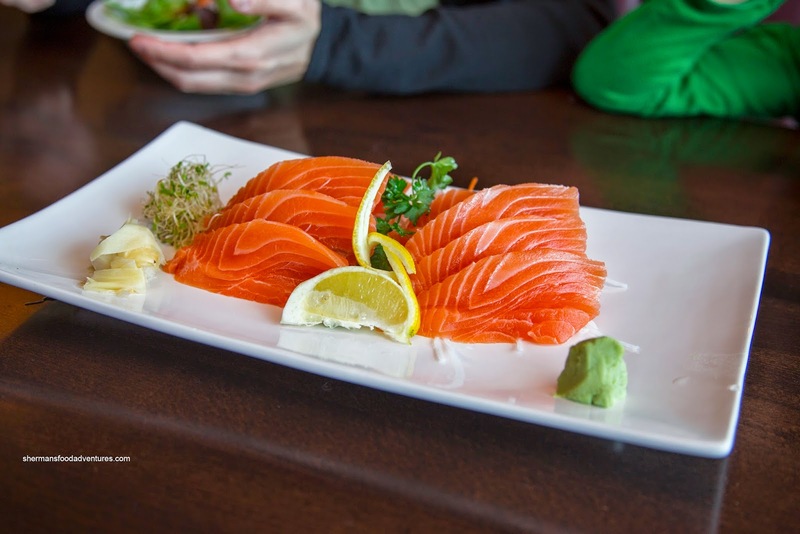 Just like Lonsdale in North Van, it is become increasingly popular to have a Japanese restaurant on every block (sometimes 2 or 3!). We decided to check the place out with Nikita, Bluebeard, Herbie the Lovebug and Lana Banana one night. Viv and I decided to try out the Deluxe Assorted Sashimi. Considering it only cost us $19.95, this was a substantial amount of food. 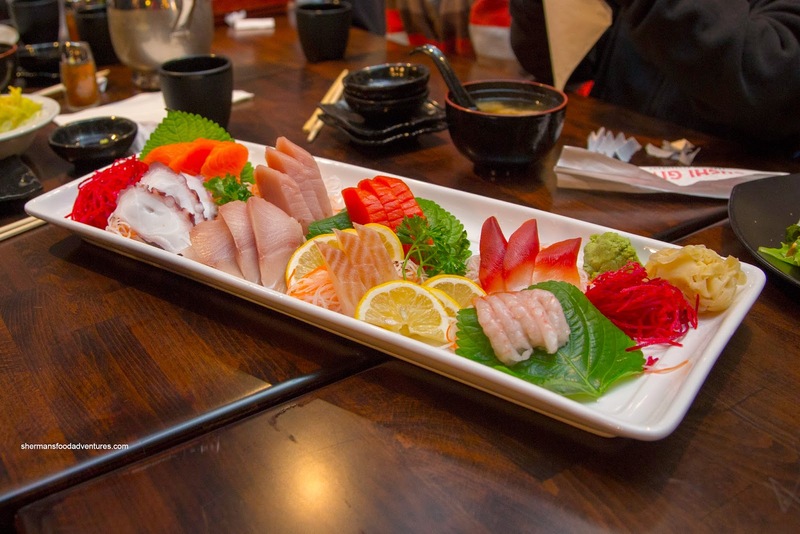 It was presented and plated appealingly where the quality of the sashimi was certainly more-than-acceptable. Exhibiting a fresh sheen and appropriate textures, we really didn't have much to complain about. 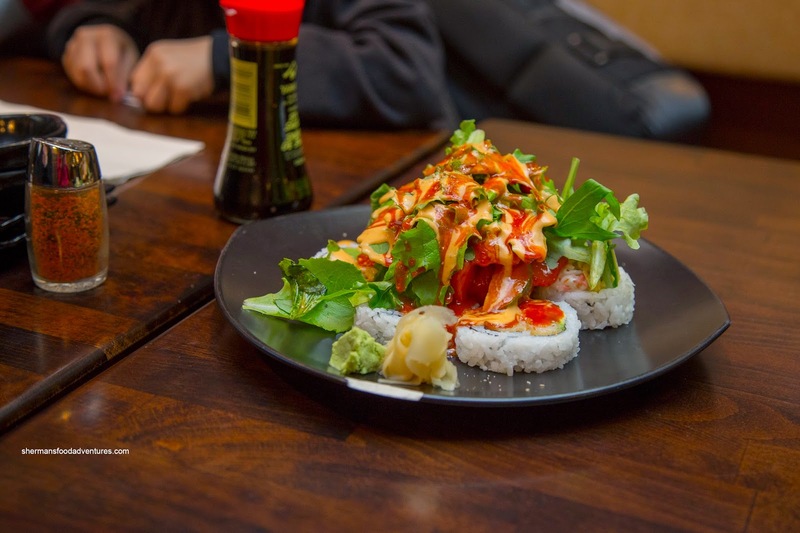 Onto our specialty roll, we had the Kamikaze which was essentially a dynamite roll with spicy tuna, mesclun greens and a whackload of sauce. We found the sushi rice to be chewy while not too dry. It was on the sweeter side though. We weren't that enthused about the amount of spicy mayo, but it was easily shoved aside if needed. 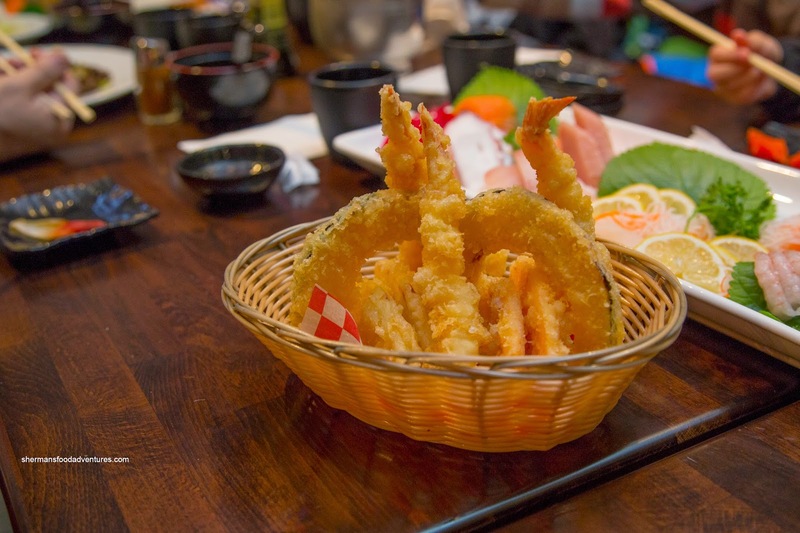 For the kiddies, we got an order of the Assorted Tempura and the Chicken Udon. Light, crispy and easy on the grease, the tempura did the trick. The kids devoured it while we were left with the vegetables. Fried vegetables... They won't even eat that... Whatever the case, the tempura batter stayed crisp all the way to the end. 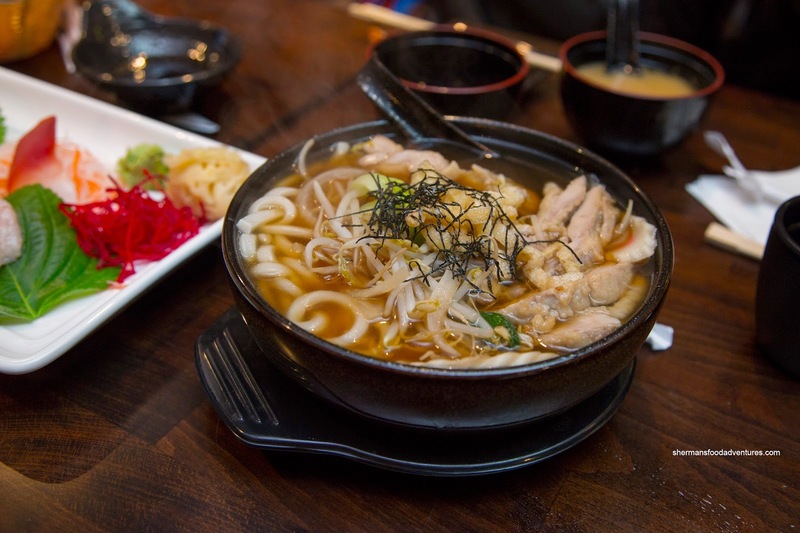 As for the udon, I personally do not like the non-authentic versions filled with random veggies and onions which help muddle up an already non-dashi-like broth. Well, this one was that type and yes, all the above was true. On the other hand, it was a large portion with plenty of slightly soft udon and pieces of chicken. Good for the kids I guess. 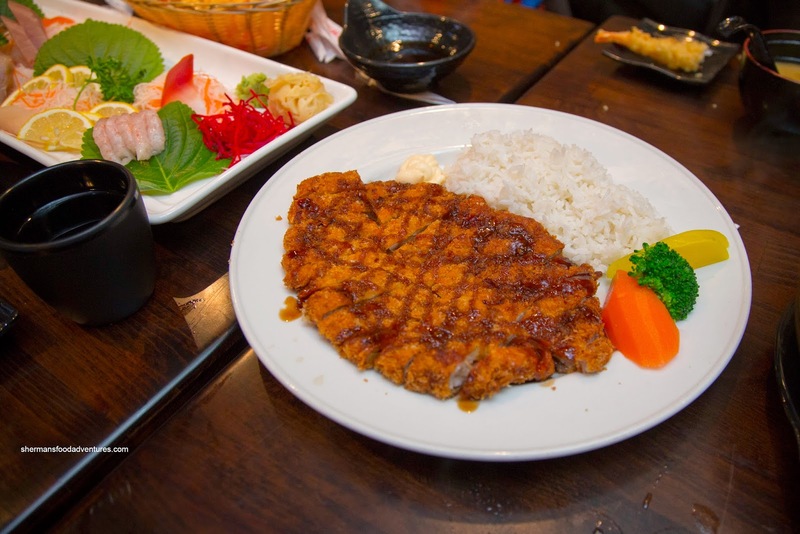 To ensure our fullness, we got the Tonkatsu served with a side of rice. As clearly illustrated by the picture, the portion size was pretty good. In terms of execution, it was also good where the exterior was crunchy while the pork was fairly moist and tender. Despite my criticism of the udon, in reality, the restaurant doesn't hide the fact isn't exactly authentic. In fact, there is a separate Korean menu. For this reason, we came back just to try some of it out. However, we had to go back to the Japanese well because my daughter wanted Salmon Sashimi. Despite the enormous portion size for the price, the salmon was an unfortunate recipient of poor knife skills. The slices were uneven and actually quite hard to chew. Despite this, the fish was fresh (as fresh as flash-frozen can get). 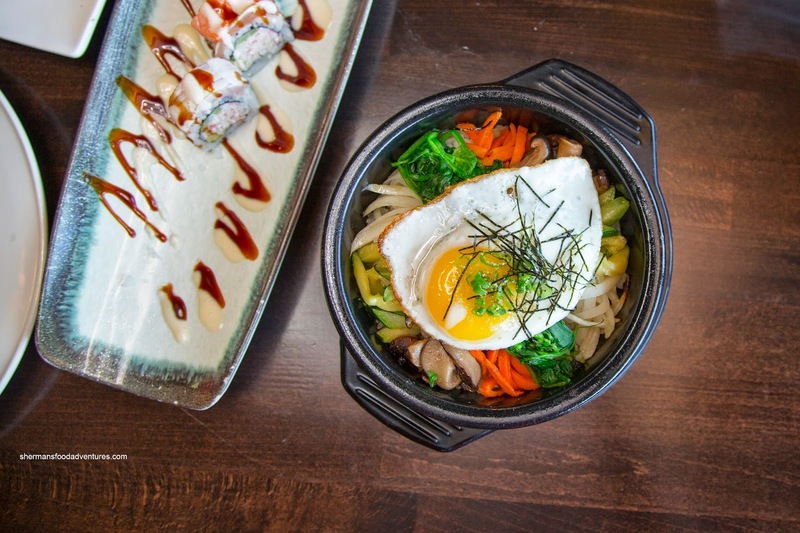 Now onto the Korean stuff, we tried the Dolset Bibimbap first. Arriving in a super hot stone bowl, the rice was able to form a fantastic crust where it was crunchy and nutty. There was no shortage of ingredients including hand-diced beef (I like it more than ground beef). We enjoyed this dish very much. 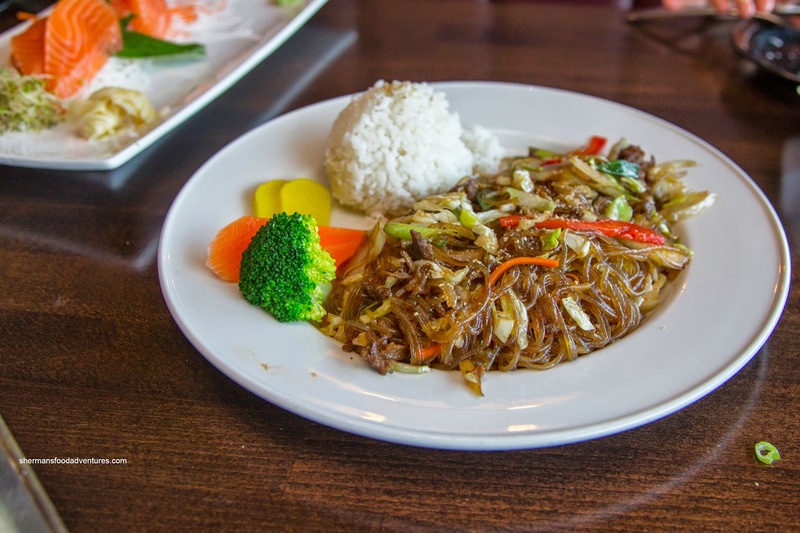 Normally, an order of Japchae can set you back close to $20.00 at some Korean restaurants. However, the one here was a very reasonable $10.00, granted with a more modest portion size. In terms of execution, it was pretty good being easy on the grease. The noodles were chewy and not overly sauced while sporting balanced flavours (not too sweet). 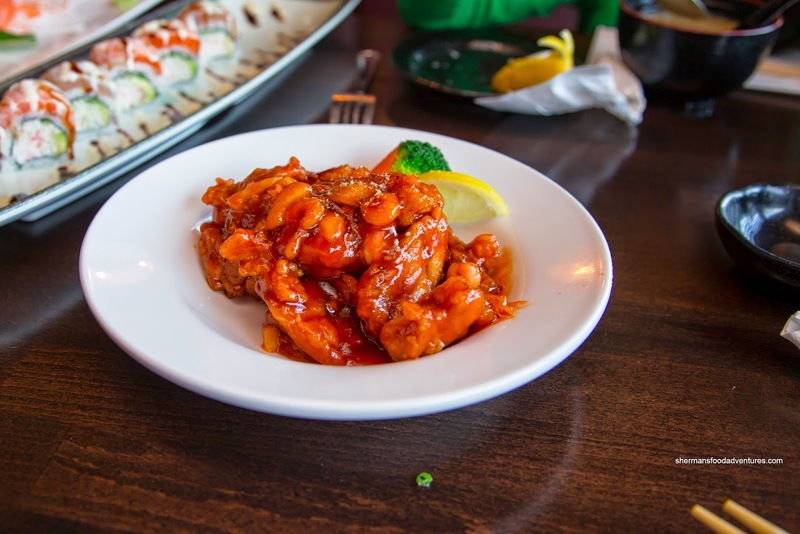 Rather than getting another entree, we opted for the appetizer version of the Spicy Chicken. Over-sauced just a tad where the crunchiness of the batter was missing, the overall flavour was quite appealing. There was a good mix of sweet, tangy and spicy that made this cry out for plain rice (we used the scoop from the Japchae). The chicken itself was moist and tender. 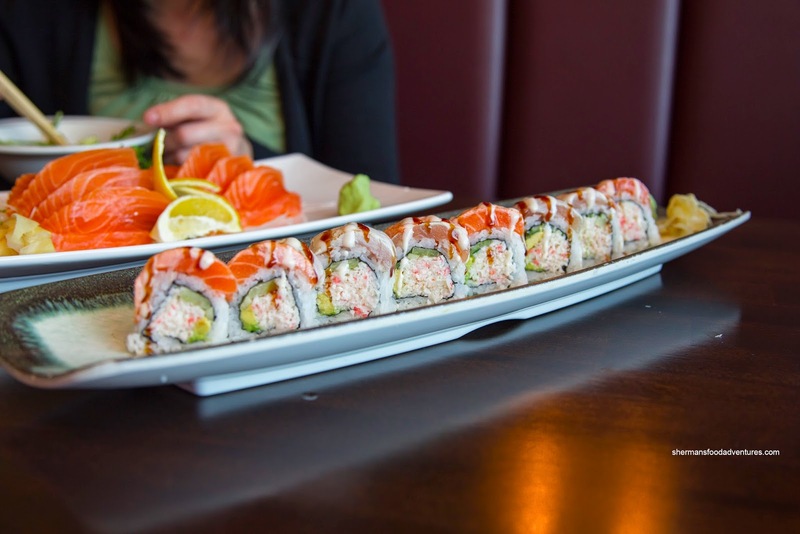 To round things out, we got the Awesome Roll consisting of a California roll topped with seared salmon and tuna on top. This time around the rice was a bit drier and mild-tasting. The roll itself was pleasant enough, especially for $6.00. 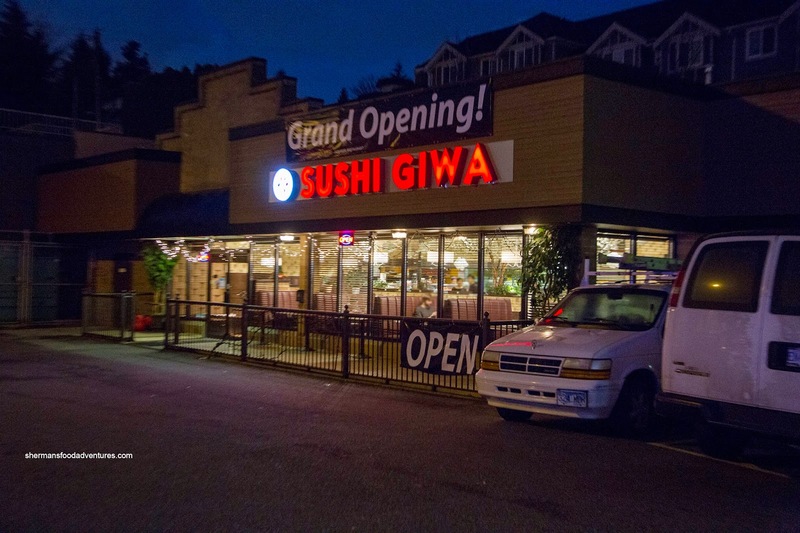 From this, you can probably ascertain that Sushi Giwa is generally a pretty good value. Portions are definitely generous for the price. Overall food quality is acceptable while the service is above-average.